Business loans can be provided to new start-up companies. There is an appetite for lending to startup companies, whether or not the Directors are homeowners. This may be good news if you are thinking of starting a company and need some capital to get you up and running. It is not the case that all lenders will provide loans to startups. Funding Circle for instance, state in their investors guide, that all businesses that they lend to have been trading for two years or more. Therefore, a new startup will not qualify. It is also the case that many of the banks do not wish to provide loans to new start-up companies, so you may have already been rejected for finance or you may be struggling to find lenders that can help you. There are other alternative sources of finance available to new companies, besides a traditional business loan. For example, receivables financing, whereby funding is provided against the outstanding book debts of the company, is freely available to businesses including those that are newly formed. There is no requirement for a track record. In addition to providing the funding, there are a number of other outsourced services that may be beneficial to a newly formed business. These include running your credit control for you, operating your payroll on your behalf and protecting your company against bad debts. 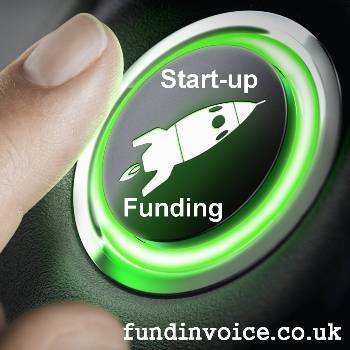 If you are considering starting a new company we would be happy to discuss your funding requirements with you and put you in touch with lenders that are happy to assist start-ups. Call Sean on 03330 113622 to discuss the funding your new company needs.